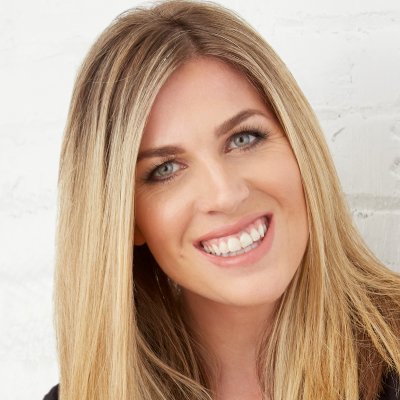 Joanna Griffiths is the Founder and CEO of Knix, a brand that is reinventing intimates for real life. Since launching the company in 2013, Joanna has built Knix into a global leader in the intimates’ category while building a community of women who are passionately taking on life by breaking down the taboos and boundaries that get in their way. Fueling the brand’s growth is Joanna’s dedication to innovation, design and comfort for products that need to multitask as much as the women who wear them do. The online retailer’s product line has grown to include everyday essentials including tanks, tees and lounge in addition to its core collection of underwear and bras. Offering a best-in-class customer experience, Joanna involves customers every step of the way by listening to product feedback and featuring them in the brand’s campaigns. Prior to starting Knix, Joanna honed her marketing and PR skills at some of the world’s leading entertainment companies including Universal Music, Toronto International Film Festival, Canadian Broadcasting Company and was Director of Business Development for the award-winning social recommendations start-up bread. Joanna holds an MBA with distinction from INSEAD, where she won the Business Venture Competition and the Women’s Award for Entrepreneurship, securing the initial capital to start the business. Knix was a finalist in the prestigious EY Entrepreneur Of The Year 2017 Ontario Awards program for the emerging category. Joanna resides in her hometown of Toronto with her husband Dave.